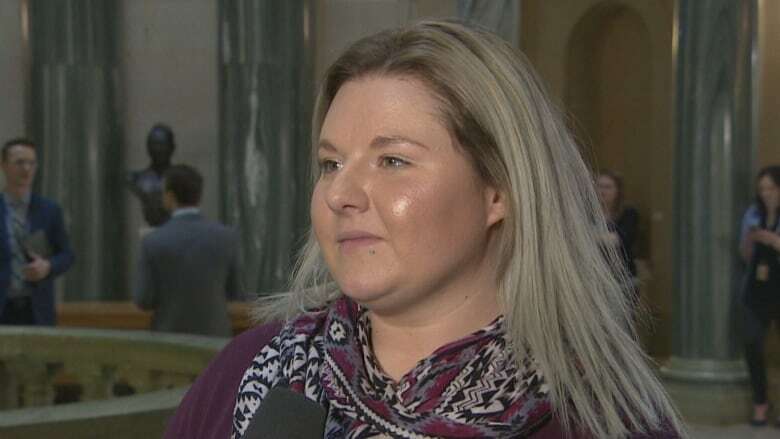 A Saskatchewan autism advocate would like to see more money earmarked to help parents of children with autism and the age of coverage increased. The 2019-20 Saskatchewan budget saw a $700,000 increase to the Autism Individualized Funding benefit, which aids parents who have children with autism. Children under the age of six were previously eligible for $4,000 per year in help from the province. That was raised to $6,000 yesterday, but one Sask. autism advocate said more can be done. "In the long aspect of things, it's not huge. It is a work in progress," said Katie Emde, who lives in Midale with her son.. "We'll always be advocating, pushing for more funding,"
The province said the increased funding in Wednesday's budget will provide "greater flexibility to choose from a range of therapeutic interventions and supports." Emde's son is on the "severe" side of the spectrum. Due to his age, 8, her family will not be benefiting from the bump in benefits, but it's something that affects hundreds of families in Saskatchewan, she said. Emde said the age which children get diagnosed can be a barrier. "The majority of children that are under the age of six years old actually have a hard time getting diagnosed under that age," she said. "So a lot of families actually aren't even accessing the individualised funding because they don't have the diagnosis." Sask. NDP health critic Vicki Mowat said she has heard similar concerns from other parents who have approached her about autism funding. Mowat said they feel like the province isn't supporting them. "Those families I would say were hopeful that they would see some benefits coming out of this budget and instead we see that that funding is still going to the same demographic," Mowat said. As it stands now, the same "small pool" of parents will be the ones to benefit from the changes, Mowat said. In some cases, the money goes to parents rather than the children themselves, she noted, pointing out that parents may have to travel and/or rent a hotel room. "There's a lot of questions about how all of this shakes out in everyday life," Mowat said. Midale is located 146 kilometres southeast of Regina. Emde said parents in rural areas face the additional challenge of having to drive several hours to get supports for their children. She said that waiting lists in cities are getting longer and that more money for programs like speech therapy in both the private and public sectors could be beneficial. The budget increase garnered praise from the Saskatchewan Association for Applied Behaviour Analysis, but the organization's president repeated the sentiment that there is still more work to be done. "When you have a child with significant developmental needs, every dollar helps and the earlier a child can be diagnosed and receive treatment, the better outcomes they are likely to have," Brianna Dellezay, President of Sask-ABA, said in a press release. Dellezay noted that the British Columbia government provides $22,000 per year for children under the age of six, and $6,000 per year for youths between the ages of six and 18. "We really need the government to bring health, education and social services together to build a holistic model to support and financial assistance for children and youth with [Autism Spectrum Disorder] right through their formative years."